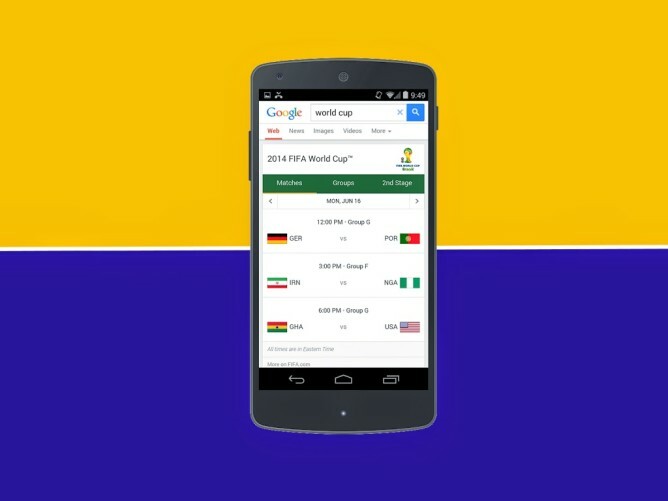 Starting now, looking up information about the World Cup within the Google Search app will pull up specific details on who's playing where, who's competing next, and who's beating whom. 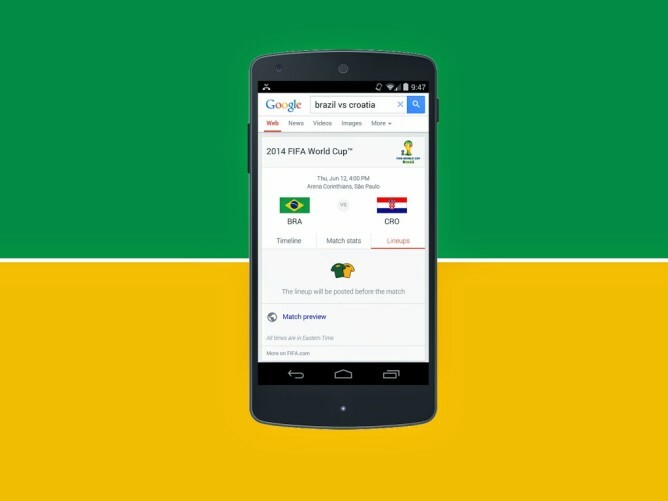 The World Cup takes off next week, and rather than installing a dedicated app just to get the basics, Google has you covered. The app is ready to kick back match schedules, starting with the opening Brazil vs. Croatia game on June 12th. Once a game begins, searching for world cup or your favorite team will pull up live scores, rosters, and highlights. This feature has been available in a limited rollout since the 4th of this month, but now Google says it is available widespread.